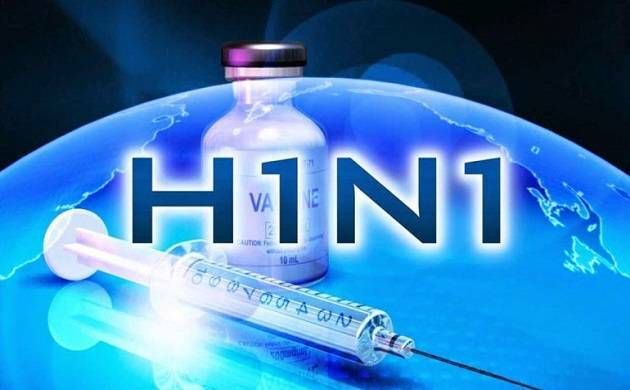 Another case of death due to Swine flu has been reported at Odisha's SCB Medical College and Hospital on Wednesday. The disease caused by the H1N1 virus strain, has claimed the life of a 55-year old and taken the death toll to 41 further. According to reports, Kalpana Jena, the victim of the disease was a resident of Damodarpatna village in Jagatsinghpur district. She got admitted to SCB Medical College and Hospital after her condition deteriorated further on Saturday. The sudden rise in number of the sufferers has also forced the SCB authorities to increase beds in dengue ward from 50 to 120. While 41 patients have already lost their life due to this deadly disease, 68 are undergoing treatment in SCB's dengue ward. Being asked about kalpana's death, Dr Manoranjan Pattnaik, nodal officer of swine flu ward has said, "She was kept on ventilator but her condition deteriorated,and the patient passed away at around 1am." "Most of the patients are coming to hospital in a critical state as a result of which we are not able to do much to save their lives," said a doctor. He advised people to visit doctor immediately if they develop flu like symptoms. "We have noticed that as H1N1 has similar symptoms like flu people are ignoring it in primary stage. Once it affects the respiratory system then patients are coming to hospital. It's too late by then," a senior doctor was quoted while talking about the matter. "On Monday, we received 36 dengue patients while on Tuesday the figure was 17. Expecting more turn out of patients, we have made adequate arrangements to deal with the situation," Dr Sriprasad Mohanty, in-charge of dengue ward stated. Therefore, in order to prevent this kind of life-threatening diseases, people need to boost their immunity and stay protected from viral infections. There are several number of effective ways to keep yourself away from seasonal flues. While having hot water with lemon and honey helps in improving immunity, herbal trees and fruit juices are said to be very effective in warding off toxins from the body and keeping yourself safe from infections.Tulsi, ginger, lemongrass, ginseng and brahmi teas are considered to be some of the best house-hold remedies for any kind of diseases from ancient ages. According to experts, Amla Juice, Turmeric powder, Cinnamon and Black Pepper also have the potential to keep you away from doctors during this seasonal change.